There’s no question that the game of college football has changed significantly over the last thirty years. The offense that powered the Irish under Lou Holtz is now relegated to a handful of programs like Georgia Tech and Navy. The much greater reliance on the passing game has created a demand for not only better defensive backs, but also more of them. In 2018 Notre Dame’s defensive backfield was a strength of the team. In fact, cornerback Julian Love could well be a first round draft pick. If the Irish are going to continue to be final four contenders, they will need to recruit and develop top defensive backs. Last week Irish Sports Daily reported on two prospects that Notre Dame hopes will contribute to the continuation their back four excellence. What have you been missing by not being a member of Irish Sports Daily? T Lee‍, DB, 6-0, 172, Buford High School, Buford, GA makes it clear that he’s still committed to Arizona State. 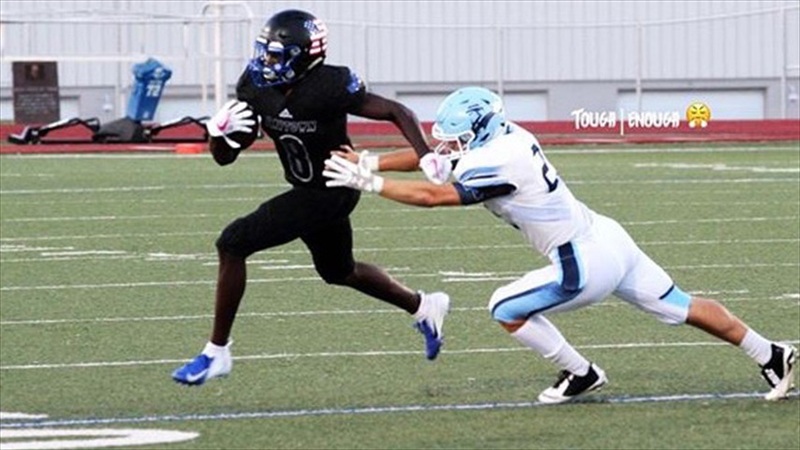 He verbally committed to the Sun Devils on Thanksgiving 2018, but he’s still keeping his options open because of the uncertainty inherent in modern college football. Notre Dame recently increased his list of options when they offered the three-star defensive back a scholarship. Defensive Backs Coach Todd Lyght gave Lee the news. Lee has already visited South Bend and has kept in touch with Lyght ever since. Lee is looking for an opportunity to get back to Notre Dame. Lee has an agenda for his return trip to South Bend. “Just trying to get to know the coaches, learning the schemes they run and the players they’re building, just trying to see what they’re like and if it’s the best fit for me,” he said of what he will be looking for on his return trip. Again, Lee emphasized that he’s a Sun Devil commit. In addition to Notre Dame and the Sun Devils, among the schools Lee’s still considering are Alabama, Texas and Oregon. 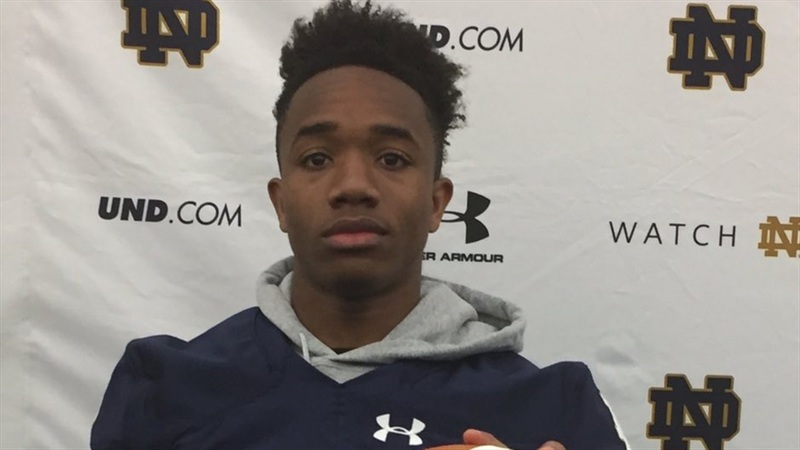 Like Lee, Dontae Manning‍, DB, 6-0, 175, Raytown High School, Kansas City, MO is also a defensive back that Notre Dame has offered and is recruiting. Unlike Lee, Manning is still wide open having made no commitment yet. Notre Dame only recently offered him, Defensive Coordinator Clark Lea delivering the good news. After the hour long conversation, Lea had one more bit of news for Manning. In addition to Notre Dame, he currently holds offers from Missouri, Iowa, Iowa State, Indiana, Kansas, Kansas State, Oklahoma State, Virginia Tech and numerous others. Manning has never been to South Bend but hopes to schedule a trip soon. Finding the right fit is very important to Manning. “Honestly, just having that relationship with the players and the coaches when I continue my career and also getting my degree at the highest academic level I could,” he said of his college goals. Lea and Manning have gotten off to a very good start. Manning’s genuinely grateful for the opportunities football has given him.